Another day, another Jim Morrison-shirt. I spotted this one at H&M's men's section and I couldn't resist taking it home. I had to explain my mom what was so different about this one (since I already own a couple of Jim Morrison-shirts) and I simply answered: "The colors. And I love his music and poems, so what's the big deal?". Anyway, here's a better look on the graduation gift I received from my mom: Stella McCartney's Falabella bag. It is, together with my Balenciaga, the most practical bag I own. I've been wearing it non-stop ever since my mom gave it to me during our shopping trip in Milan. I guess I have a new love. Have a nice evening, y'all! Once upon a time, a simple girl, living in a small town in Belgium, received the invitation above. How could she ignore that? She couldn't, right? She loves Disney - her parents got her a bunch of Disney DVDs on her 18th birthday - and she loves Christian Louboutin (well, duh). 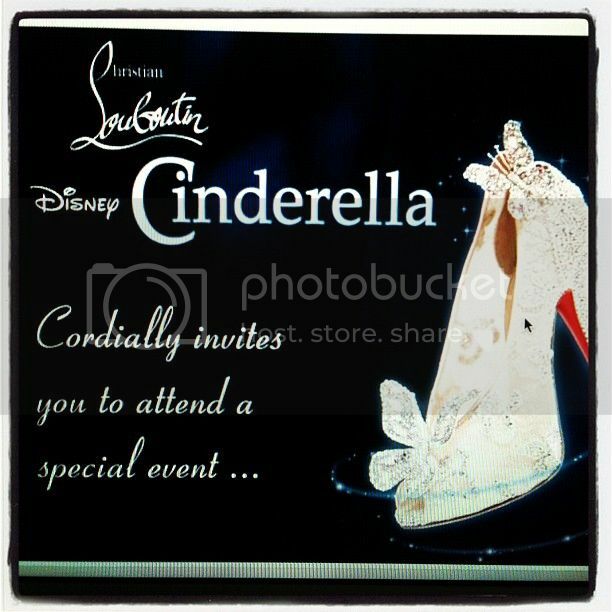 Disney & Louboutin... Combine these to together and what do you get? An interpretation of Cinderella's glass slipper by Mr. Louboutin himself, to celebrate the worldwide release of Cinderella on Blu-ray and DVD. The shoes are light, transparent and beam pure beauty. Butterflies, lace and Swarovski-crystals complete the realization of one of the world's most famous pair of shoes. Belmodo organized a competition in order to win a pair of these gorgeous shoes - of which only 20 pairs are made. Five lucky ladies were picked by Christian Louboutin himself as the ultimate finalists and one of them would be the one and only Belgian Cinderella. So, I dragged my parents to Brussels (I'm not driving in Brussels, oh hell no! ), where the event was taking place at the gorgeous Warwick Barsey Hotel, to see which ridiculously lucky girl would be the modern day Cinderella. Come and have a look with me! Just click below and bibbidi-bobbidi-boo... You'll see the pictures. Guuuuurl, time to get those dollah dollah bills woppin'! Sorry, I was just channeling my inner Honey Boo Boo Child. 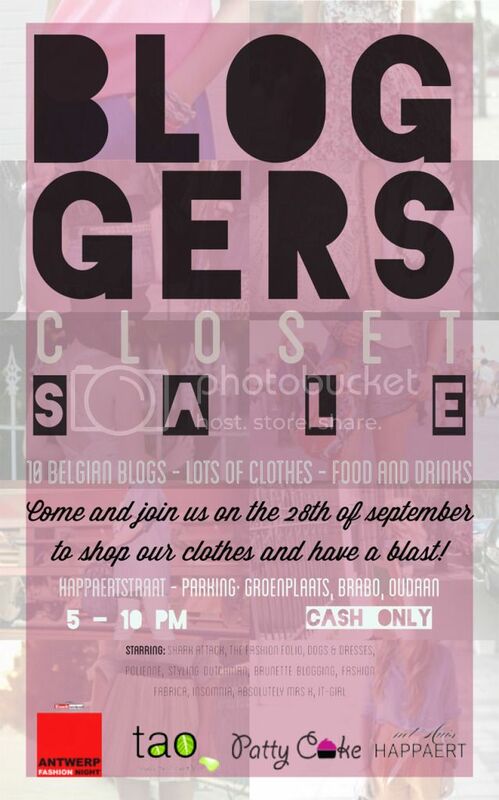 Anyway, I just wanted to talk about this fun event 9 fellow bloggers and I are organizing: our very first Bloggers Closet Sale! Just think about strolling through the house Happaert in Antwerp, sipping on some drinks by Tao and nibbling on some yummy cupcakes by Patty Cake. Not to forget: the tons of clothes you'll be able to purchase, coming straight from our closet! Dresses, trousers, jackets, accessories... You name it, we'll have it. Who knows, maybe you'll even have the chance to purchase a designer goodie? And last but not least: Antwerp will transform into Antwerp Fashion Night on the 28th of September, so after you've raided our closets, you can continue your fashionable journey through Antwerp. 1 Esprit + 3 upcoming talents of the Royal College Of Art = 1 unique, yet wearable F/W '12-collection. 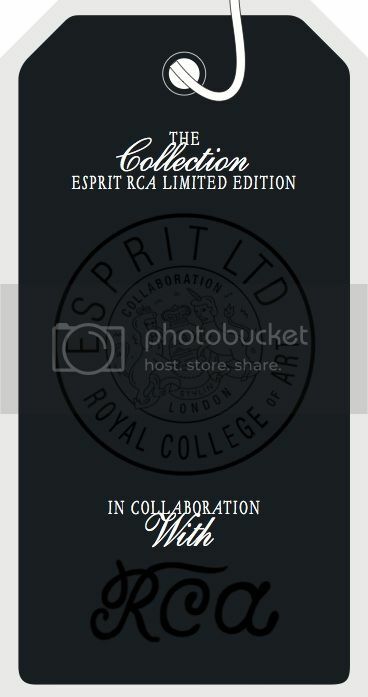 That's one hell of an easy sum to summarize the 2nd collaboration between Esprit and the Royal College of Art in London. I love to see brands which support upcoming talent. It one of the main reasons why I wanted to write this post. It's hard to make a name in the ever changing fashion industry and it's even harder to stay there - unless you're name is Karl Lagerfeld or Donatella Versace. Julia Mackenroth, Rachael Hail and Ryan Mercer. Their creations will be transformed into real collections and will go international thanks to Esprit. The Esprit RCA Limited Edition-collection consists out of sweaters, coats, blouses and trousers and will be the main theme in the newly renovated Esprit-store on Regent Street, London. It will also be available in 11 selected stores around the world and online, of course. The Belgian fans will be able to buy the collection in Antwerp (Meir, 9) and online on Esprit.be. So, I'm curious to read which collection is your favorite! They all have their own charm and personality, but based on my personal style, I would go for Ryan Mercer's collection. Click below to see the three winning designers and their creations. After coming back from Milan, I took off to Luxembourg with my boyfriend for the weekend. I didn't know what to expect, since I didn't know much about the country and city (only that gas and cigarettes are quite cheap there). 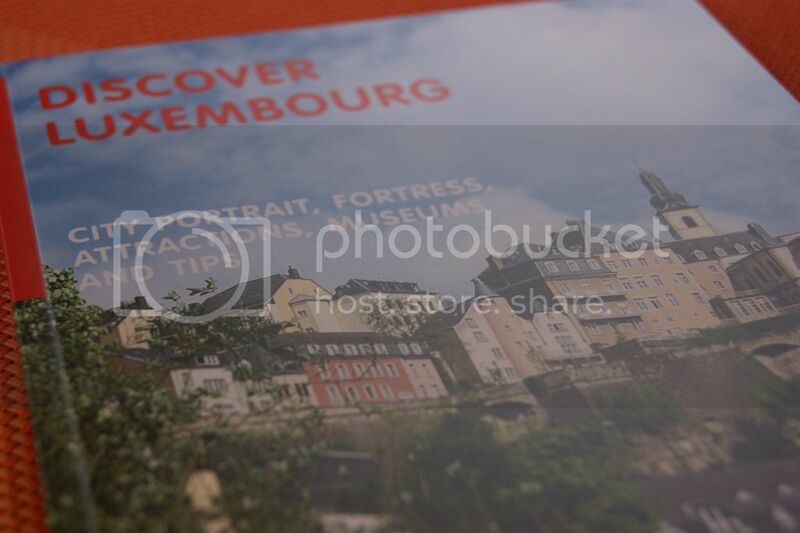 After spending two days in Luxembourg city, I think it's safe to say that I completely fell in love with the place. The combination of churches, castles, forests and houses looking as if they could be toy doll houses, turns this city into a picturesque place to stay at. It felt as if we went back in time. The only thing I can do is to recommend everyone to visit this beautiful city. Since a picture says more than a thousand words... Click below to see some images I managed to snap during my stay there. P.S. : Beware of major picture overload! 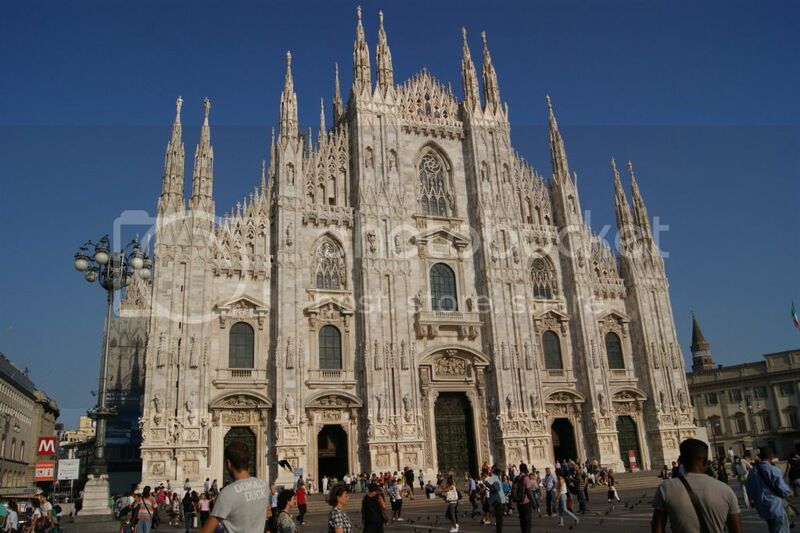 I'm back from my city trip to Milan! It felt amazing to be back in Italy. I hadn't been there for years and neither did my mom. She has to take care of my grandfather, so it's hard for her to go on a holiday. It was so emotional to see her enjoy even the simplest of things. This break was exactly what she needed, even if it was for only three days. I didn't take a lot of pictures... I was too busy shopping and doing other things, that I didn't even think about my camera. 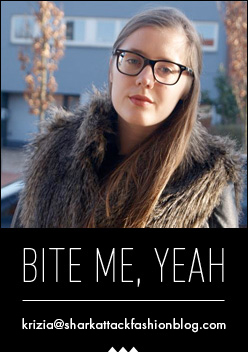 I'm a bad blogger, I know. As for the outfits I was wearing: don't expect too much. As some of you may know, I fell and hurt my knee kinda bad, so I couldn't wear any jeans. I was obliged to wear leggings and T-shirts during the entire trip. Anyway, we did tons of shopping and when we wanted to visit the Duomo - which was the only 'cultural' thing we were into visiting - my sister wasn't allowed to enter because her skirt was too short. We had a good laugh about it: with all the pedophiles and scandals surrounding the Catholic Church, they're going to make a scene about a skirt that's too short? Ah well, we aren't religious anyway, but my mom really wanted to see the Duomo from the inside. Bummer. Here are some of the pics that I managed to snap here and there. I hope you like them! Now I'm off to relax a little bit, because I'm leaving on a 3-day trip to Luxembourg with the boyfriend tonight. I'll try to take some decent pictures there! 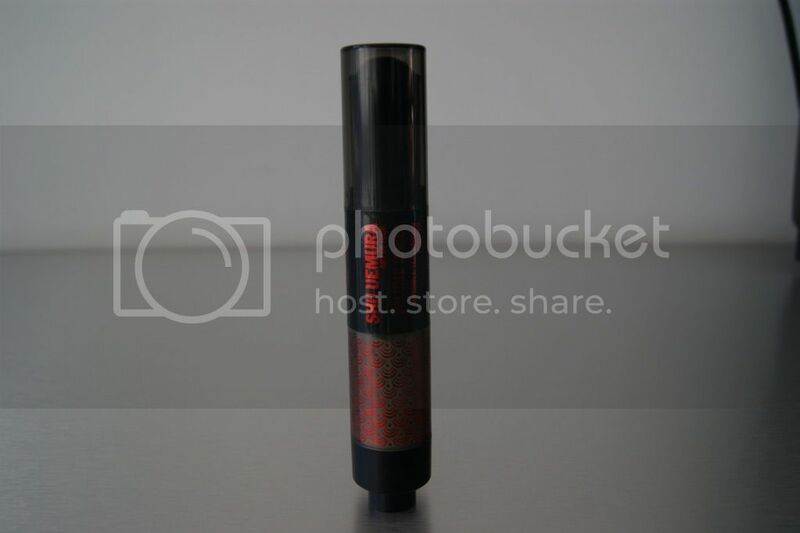 When the sweet Ilke from L'Oréal contacted me to ask if I wanted to thest the Shu Uemura Volume Maker brush, I must admit that I'd never head of volume powder before. Sure, I've seen the commercials about all types of hairsprays and gels, but powder? Anyways, since my hair is flat like sh*t - like, no volume at all, for real - I was rather curious about this product. My mom took these outfit shots when we were visiting my grandfather. We were shooting for about 3 minutes when my grandfather's friend stopped by and well... You know how it goes with Italian old men: lots of loud talk, lots of arm waving and so on. We decided to call it a wrap and enjoy the sun for a bit. As for the outfit, what can I say? A lot of black and studs, just how I like it. I think I'm going to wear this outfit to my graduation tonight. Why change into a cocktail dress that isn't really my thing, if this outfit represents my style perfectly? The only thing I'm kinda bummed about is that my sister and brother-in-law can't make it to my graduation. They're on a well deserved holiday in Portugal right now. Plus, I can't wait for next week to start. I'll be in Milan with my mom, sister and brother-in-law from Tuesday 'till Thursday and in Luxembourg with my boyfriend from Friday 'till Sunday. It'll be nice to get away from my home town for a while. I'll bring my camera, of course, so you can expect tons of pictures when I'm back. Some of the most amazing experiences about blogging - but one I still have to get used to - is getting featured on websites and in magazines. 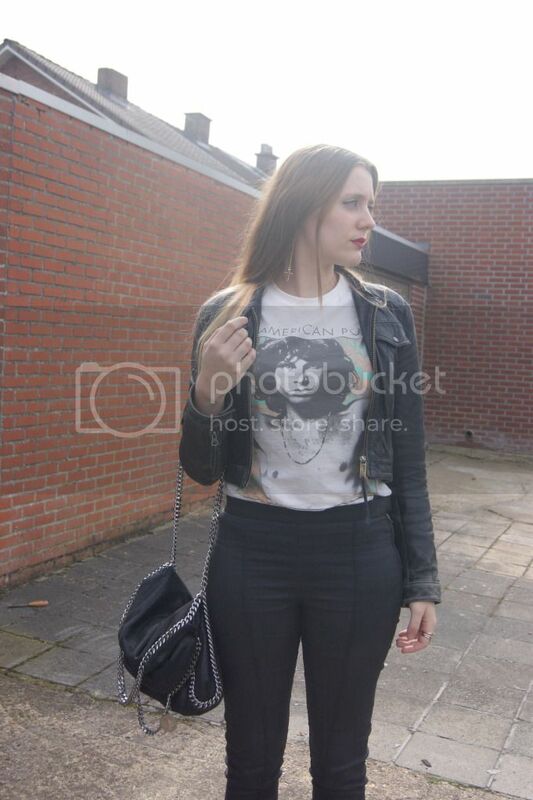 When my friend Esmée told me that she'd seen my picture on She.be, I was totally surprised. 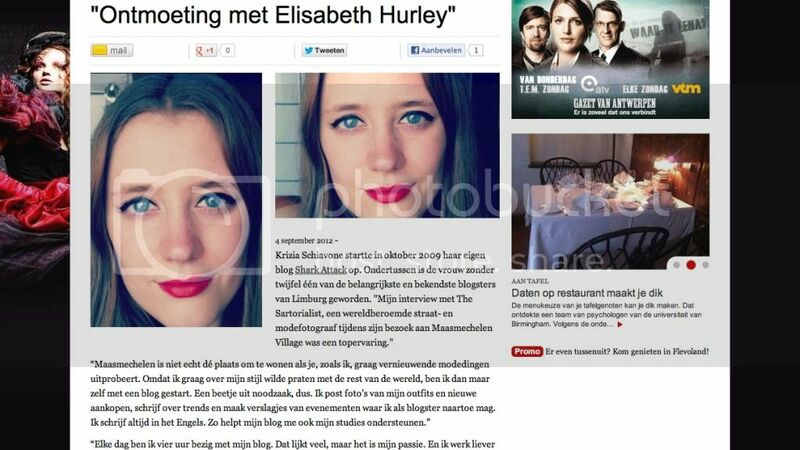 The article is written in Dutch, but it was somewhat emotional to read that the authors at She.be find me one of the most important and most famous bloggers in Limburg, the region where I live. It's completely surreal. I definitely don't see myself that way and it wasn't the reason why I started the blog. But nonetheless, it's very, very sweet of them. Other things the article talks about is my interview with Scott Schuman a.k.a. The Sartorialist (see here). It was my first big event and I was so nervous, I can't even describe it. I start to cringe now that I see my early lay out and writing. I definitely need to fix the lay out in my early posts ASAP. :D Another event they talk about is my interview with actress Elizabeth Hurley (see here) and my meeting with top model Anouck Lepère (see here). Looking back on these events, I can't believe the opportunities I got thanks to this blog. Blogging is hard work, but I haven't regretted it for one single moment. The experiences I've been through, the people I've met... they are totally worth the tons of work and efforts I put into Shark Attack. I'd also like to thank you, my readers. If it weren't for you, Shark Attack wouldn't have been what it is today. The sweet comments, tweets, emails... That's what keeps me going in the first place. God, I sound like a total cliché, but you know what they say: most of the clichés are true. So once again: thank you! For all the press and features about Shark Attack, click here. Since I should be officially done with school - I'm getting my grades on 5th of September, I'm sooo nervous - and I haven't had a proper holiday in nearly 5 years due to re-examinations and all, my mom, sister, brother-in-law and I decided to book a city trip to Milan next week. I haven't been in Milan for years and I'm so happy to go back for 3 days filled with food, shopping, strolling around and doing whatever we feel like doing. But now, I need your help... 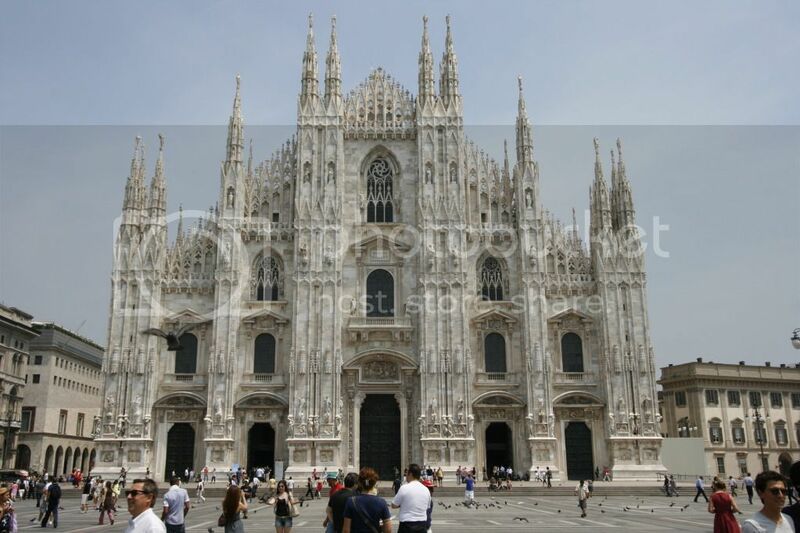 I'm not really familiar with Milan, except for the Duomo and the Galleria Vittorio Emanuele II, so if you have any tips on where to eat / drink / shop / ..., drop a comment in the comment box below. It would be so helpful and it'll give me the chance to discover new places, which is always fun, right? I can't wait to read your recommendations! I thank you all in advance!